Insurance and reinsurance group Hiscox continues to enjoy an increasing benefit from its ILS and Kiskadee Investment Managers platform, with its ILS assets under management now reaching $1.25 billion, helping it to generate increased fee and profit commission. In reporting its results today Hiscox underlines the importance of its ILS activities, as well as the opportunity with Chief Executive Bronek Masojada explaining that the only reason ILS assets aren’t even higher than the $1.25 billion is down to underwriting discipline. “Demand for participation in the funds continues to increase, with the only constraint to growth being access to adequately priced opportunities,” Masojada wrote in his report. 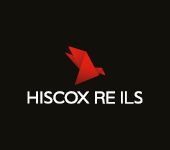 Hiscox Re and its insurance-linked securities (ILS) unit were brought together as Hiscox Re & ILS with Mike Krefta appointed as Chief Executive Officer (CEO) overseeing the combined unit last year. Bringing the two teams under one unit has clearly helped to cement the synergies that Hiscox was already seeing between its ILS and reinsurance teams, with growth at Hiscox ILS becoming an increasing driver of additional revenue for the firm. Chairman of Hiscox Robert Childs commented on the synergies being seen; “Hiscox Re and ILS (insurance-linked securities) has been very successful. Our strategy of reducing volatility in our earnings by diversifying our operations saw us create an ILS business in 2013 which has grown quickly to reach US$1.25 billion in assets under management and is now firmly in the premier league of ILS businesses. Commenting on the way Hiscox has now positioned its reinsurance and ILS business, and on the overall result in the unit, CEO Masojada also said; “Hiscox Re and ILS has spent the last three years evolving and adapting to market disruption, successfully navigating new capital and declining rates to become a premier league player in the reinsurance and ILS space. The increased profit at this unit will be partly down to the continued growth of the Hiscox ILS business, but also due to the synergies found within its reinsurance unit through leveraging third-party capital. Gross written premiums across the Hiscox Re and ILS unit increased by 29.1% to £495.2 million, with business written on behalf of the Kiskadee ILS funds one of the drivers. Adding 25% of new growth to the Hiscox ILS and Kiskadee ILS funds platform to reach the $1.25 billion shows the demand being seen from investors, but also that Hiscox is finding ways to dovetail the collateralised reinsurance product alongside its traditional capacity in a profitable manner. This the key, that third-party capital is not cannibalising traditional reinsurance returns, rather that it is augmenting them. Get that right and as opportunities allow it will not be long until Hiscox grows its ILS assets even further.